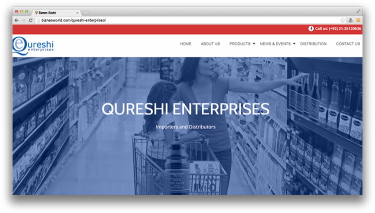 Description We are Importer & Distributor of various FMCG product i.e. ME-O, SMARTHEART, C.P. (PET FOOD) FREEZ DRINKS, RAZMIN (THAI COUSINE SAUCES & CORN PRODUCTS). SMART DEODRANT (BODY SPRAY). Address Razmin Tower, Korangi Road Karachi.